Can a WordPress theme be used as your brand? I’m using the 2010 theme. I have not found any other that I like better. Now, I’m advised that I should have the same theme running through ALL of my social media. Is it possible to use the 2010 theme for my LinkedIn, Facebook, Twitter, etc.? I could leave it at that, walk away and be totally justified. But I think exploring what could be the motivation behind the question adds value. Theme, n., a unifying or dominant idea, motif, etc., as in a work of art. Fundamentally, the WordPress Theme system is a way to “skin” your weblog. Yet, it is more than just a “skin.” WordPress Themes… provide much more control over the look and presentation of the material on your website. A Theme modifies the way the site is displayed, without modifying the underlying software. Your social media presence, much like your presence in the greater marketing world, should have a common theme (the dictionary version) running through them. Some might call it a brand. This could include a logo, colors, typeface, tagline, or more. Some social media services allow you to make some customizations (Twitter and Facebook both let you do this to an extent). Can a WordPress theme become your brand? If a theme inspires or guides you, I think that’s great. You might borrow some colors from it, or take a hint in typography selection. However, unless your theme was created specifically for you, it probably won’t work very well as a brand, especially if it is a popular one from the theme repository or one of the major theme companies. If your website or blog is new, don’t waste time agonizing over your theme or your brand. Just make sure your theme is clean and the text is readable. If you want to build your site, concentrate on adding content. Search engines don’t care whether your words are set in Times New Roman, Arial, or Calibri. More importantly, people can’t read the words that aren’t there. I received a question today via email from someone I met at WordCamp Detroit 2011. First, go to these things. The next WordCamp Detroit is October 6, 2012. They are great educational events. And if you know a few things and are pleasant to people, they will remember (and recommend!) you. Second, the question reminded me just how much ignorance and confusion still exists about WordPress. I was wondering what the difference is between BlueHost and WordPress.org when it comes to hosting my site (or blog). When I spoke with Blue Hosts’s tech support last night, they told me that there was no difference between Blue Host and WordPress.org—and that I would be getting the exact same thing, but there’s quite a price difference between Blue Host ($142) and wordpress.org ($13 a year with my domain already purchased elsewhere). Is there any truth to this? Well, yes, there is some truth to this, but the question is also like comparing apples and paring knives (yes, lunch is overdue as I write this): You need both to serve a delicious snack, but they are very different things. First, let’s make a distinction between WordPress and hosting. 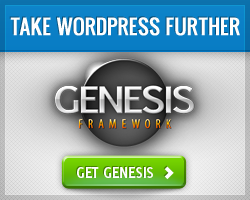 WordPress is free (the meaning of free could fill another blog post) publishing software. It runs on a web server and manages and publishes website and blog information. Hosting is a service where a computer with special software is connected to the internet to share web pages, manage email accounts, store files, etc. WordPress, which is free software, runs on a server, which costs money. Server hardware, configuration, internet connections, etc. get very technical very quickly, and is best left to professionals. Enter companies like Bluehost, HostGator, and hundreds of others. They sell something call shared hosting, where they lease space (hard drive storage, RAM, and processor time) on their computers to various people in such a way that one computer may have dozens (or hundreds) of websites. Many of these companies make it very simple for anyone to install the free WordPress (.org) software on a shared hosting account. That’s part of the equation. The inquiry hinted at another piece of the puzzle, but didn’t spell it out. Where does the $13/year come in? We need another distinction, this time between WordPress dot com and WordPress dot org. WordPress.com is a free (no cost, with upsells available, which is where the $13/year figure comes in) hosting service that runs a highly-tweaked version of the same free (no cost) WordPress software available for download from the dot-org site. The free service available WordPress.com is very valuable. It’s fast, reliable, secure, and well maintained. In exchange for this, they impose some restrictions on what you can do: No advertising, limited ability to customize themes, and no ability to add extra plugins. Hosting your first site on WordPress.com is a great place to begin. It’s like your first apartment after college. Eventually you will outgrow it, and you will want a house. When that happens, ask me about my hosting and webmaster service. Do you think the internet is important? It has given me much over the last several years. I have made new friends, educated myself, found fun things to do and share, and been amazed at just how crazy/sad/caring our society can be. My future career and the very livelihood of millions of people depends on the infrastructure, technology, and freedom of the internet. I don’t generally jump on bandwagons and I’m rarely vocal about causes. For this I will make an exception. There are some crazy ideas being tossed about in Congress and the Senate right now. These have a huge potential to be poorly interpreted, cripple freedom of speech on the internet, and set our society back in time. While I understand the desire for large corporations to “protect” their “intellectual property,” I value individual freedom more. Next, take a few minutes to contact your legislators and express your view about the laws being considered. Let’s keep the internet free. My friend was frustrated on the other end of the phone. “I just don’t understand how my WordPress (.com) blog can be a website,” she said. I briefly explained the difference between posts and pages, and the way different themes worked to display information. Throughout my monologue she mumbled sounds of a vague and unconvincing understanding. My brilliance wasn’t cutting through her fog. “It actually really easy to do. You just don’t know the mechanics of the process,” I concluded. Something clicked for me in that conversation. My friend helped me understand that many people need practical, concrete examples before they can grasp the systems and information flow that many WordPress developers take for granted. I look forward to playing with new approaches to teaching people learning and teaching styles. During the “21 Tips From the Organizers” segment at WordCamp Detroit, my buddy Anthony talked about pasting from MS Word the “right way.” Someone I met at the conference asked if I knew how to do this. When you copy text from Microsoft Word (or a webpage), the clipboard also grabs hidden formatting instructions. This allows you to bring the formatting along with the text when you paste it. Sometimes (but not always*) these invisible instructions confuse WordPress’ TinyMCE editor and your post “looks funny.” Yes, that’s the technical term. When it happens, you the HTML view will show extra markup. If you know HTML it’s frustrating and you can clean it up. If you don’t, it’s just frustrating. So, how do you prevent this problem? Copy the text from MS Word. Click the “Paste from Word” icon in the second row. Click in the box and paste your text there. Open a basic text editor like Notepad. Past the text into a blank text editor. Press Ctrl-A to select all the text in the editor. Paste the text into the TinyMCE editor window on your WordPress site. This method is repeatable, reliable, and strips ALL the formatting from the text to be pasted. It takes longer, and sometimes you want to keep your formatting. If you’re serious about your writing, you might just want to forgo MS Word and take a look at the Full Screen mode. *I think this was more likely to happen with MS Word 2003 and older versions of WordPress.